Botox is erasing town’s laugh lines. IT’S NOT SO much the history as it is the story. That apartment at Willow and Pearl was the first place you lived when you got to Jackson Hole. That little white house on South Glenwood was the site of more raucous parties than you can remember. There on Pine Drive is the fourplex where you and your girlfriend had your first apartment on your own. And there, off Gregory Lane, is the shack where you lived alone after you and your girlfriend broke up. Not every house has historical significance—a one-hundred-year-old example of native vernacular, or at one time the home of Uncle Nick Wilson’s second cousin—but most have personal meaning to someone, even if just as part of the familiar face you’ve gotten to know over the years. And so it’s a shock to be walking down Kelly Avenue, as you do most every day, on your way to work or to play, and realize that the shabby, little red bungalow that used to crouch in the shade of a couple of huge, old pines has been replaced by a pile of dirt and an excavator. Some call them “scrapers,” the kinds of places that, sooner or later, someone is going to buy only to bulldoze and replace with another metal-clad cube that stretches from lot line to lot line. Sometimes there is no choice. Sometimes a structure is too far gone to consider shoring it up to squeeze a couple more years of habitability out of it. Nevertheless, all too often, the scrape job is a loss: the loss of a hundred stories and a thousand memories. It’s the erasure of another reminder of what Jackson used to be, where it came from, and who gave it personality. It’s like a chronic disease, the long, drawn-out death of that je ne sais quoi we all look for in our town, the wasting sickness of Jackson Funk. ETYMOLOGISTS TRACE THE word “funk” back to Middle English, Middle German, and Middle Dutch, meaning “spark.” A seventeenth-century definition—a strong, usually offensive smell, like that of certain cheeses or tobacco—lives on today, as when one wishes to describe the odor of unwashed ski socks. A 1739 reference uses the word to mean panic or fear, particularly that of the coward, or, also still commonly used, a paralyzing, depressed state of mind. And then, of course, there’s the musical definition, which goes back to at least circa-1900 New Orleans, where African-American and Creole styles cross-pollinated for a syncopated, polyrhythmic approach to time and tempo—a deep sense of groove some say demands firsthand intimacy with the grit and pain of the black American experience to master. In the 1950s and ’60s that developed into the “funk” of George Clinton and James Brown, et al. Brown’s longtime sax man, Maceo Parker, once defined funk as music that makes you want to move. But when speaking of Jackson Funk, the reference that epitomizes the concept may be the mid-twentieth-century American art movement called funk art. Spawned in the Bay Area of California in the late fifties, funk art prized individuality, the personal quirks and peculiarities of its creators—artists like Bruce Conner, Peter Saul, Jess, Viola Frey, and Gladys Nilsson. Representational, humorous, even bawdy, funk art often was composed of found objects and took the form of collage or assemblage. It was art that reacted to and rejected East Coast pretensions and academic orthodoxies. MANY OF THESE characteristics dovetail neatly with those of Jackson Funk: personal, makeshift, whimsical, a hodgepodge of styles and elements, with additions and subtractions, edits and repurposings evident, even intentionally conspicuous, and with that feeling that the structure self-assembled from whatever materials had been lying about. 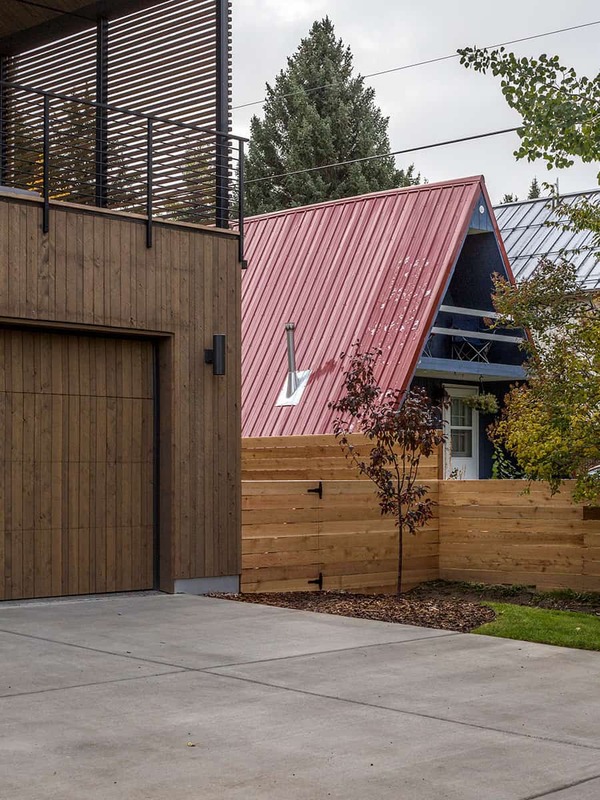 Those traits developed naturally in early Jackson Hole architecture. The hands of the homesteaders and pioneers can be seen in every cope and corner. Clever improvisation was a requirement of getting through another season. Back then, funk was not aesthetic; it was pragmatic. But then along came the 1950s and ’60s, the beatniks—cousins of the California funksters—and the hippies (a plague on the community’s moral fiber, as many articles in the Jackson Hole press bemoaned), and other antiestablishment types. They flocked West to escape their oppressors in the East, in search of alternatives to the conventional life of clocking in and out for forty years. 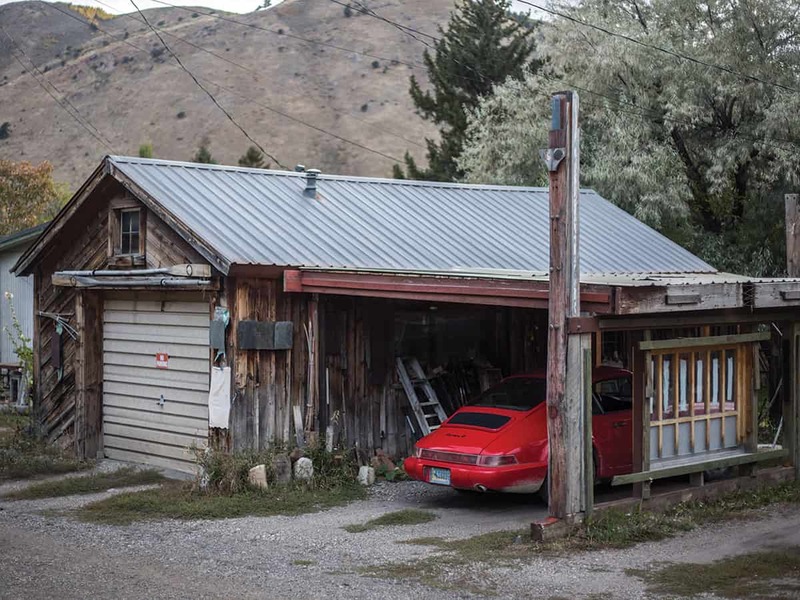 And they found it—or at least found a place where they could create it—in many a Rocky Mountain cow town: a new kind of lifestyle, authentic and expressive, personal and hand-made, stitched together from found objects, found jobs, and found housing. Vestiges of Jackson Funk can be seen all over. 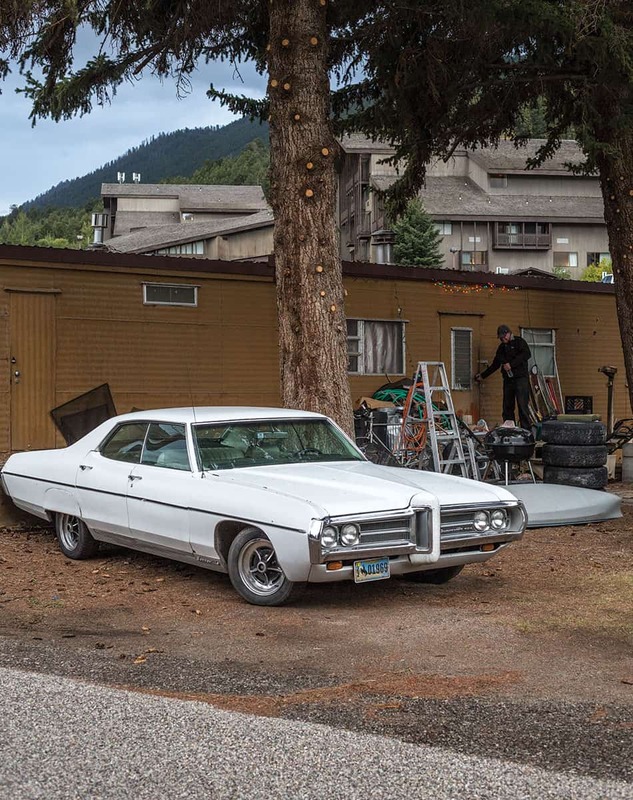 Nearly whole blocks in East Jackson have retained their funk—Nelson, Rancher, the blocks west of South Jean, with their cottonwoods of Bunyanesque girth, their rickety slat fences, the vintage neon sign advertising the Wilson Motel long forgotten. Many are tidy and well-kept; some have aged gracefully; others, their shirtfronts despoiled by magpies and ravens, just don’t give a damn. Most east-west alleys run the gamut, with a wide assortment of junky, funky off-buildings, some inhabited, others sagging into the land. Some are sagging but still inhabited, perhaps long past when they should have been. A certain species of split-level ranch house indigenous to Simpson and Hansen Avenues, as well as the West Jackson residential neighborhoods, date to the seventies and early eighties and might be called “late funk.” Plopped in nearly any other place in the U.S. these would just be Levittown-style tract houses, but here they have weathered well, accumulating a patina of funk and a sense of self that comes with wisdom. Despite its tony reputation, Wilson proper is still well-represented, with some examples of “high funk”: miniature log cabins, additions that look like their builders never quite bothered to finish them, and shaggy landscaping. The further reaches of South Park Loop Road epitomize the look, and one passes many examples heading south on Highway 89 to Hoback Junction, which prides itself on its own orthodox variant of funk. IT’S TEMPTING TO anthropomorphize these structures, and it’s easy. A pair of gables take on the appearance of eyebrows. A low log cabin broods. The twinkle remains in the glass eyes that bracket the nose of a door. That, actually, is part of the point: These are human buildings, permeated by the energy of triumphs and tragedies, redolent of the spark and the stink—the funk—of we who have called them home. They sit sturdy and comfortable with what they are, like a middle-aged backcountry skier who knows her next greatest adventure still lies ahead. They stand resolute, prepared for whatever tests the Teton elements throw their way, knowing that this may be the year that a new roof or water heater or, God forbid, foundation is in the cards. It has nothing to do with the way they are designed or built (you cannot draw funk into an architectural plan) but everything to do with the lives lived there—all the good funky times and tunes, and the deep blue funks when adversity or loss shadowed the doorstep. No facade, no matter how resolute, stands a chance against the wrecking ball. It’s inexorable: Year after year the changes come. We walk past certain properties and can’t help but think, “It’s only a matter of time.” It’s insidious: One night, while wandering East Jackson with friends after having altered our minds a bit with various chemicals, walking heads-down, deep in conversation, I happened to look up to find myself surrounded by rectilinear solids of synthetics and steel, concrete, and Hardie board, and for a split second I could have sworn I was not in Jackson Hole anymore. Maybe those new metal cubes that crop up each month to replace the peaked roofs and craggy countenances of the last century’s architecture will prove pervious to the funky tales, the stories of bootstraps and belle epoques, the generations, the crazy-good time, the promise of a mad winter, the poignancy of a formative summer. 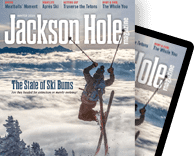 Is it going too far to say that this is what is at stake every time one of Jackson Hole’s funky, historically dubious, warped, and warty domiciles falls to make room for the new and nifty? Just how much do we want to clean up this old town, anyway? Maceo said funk was music that made you want to move. Jackson Funk is the groove of the valley that makes you want to stay.